Description: Here is a free customizable personality mind map template provided for download and print. In addition to smart and automatic shapes, various vivid clip art are also available for bringing your maps to life. Quickly get a head-start when creating your own personality mind map. 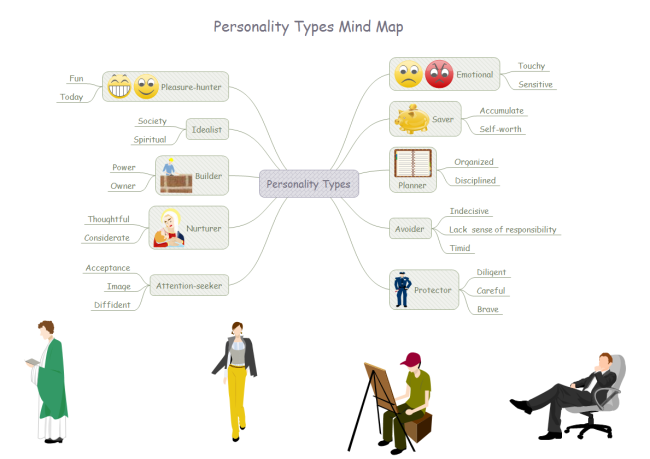 Here is a simple personality mind map example created by Edraw Max, which is available in different formats.